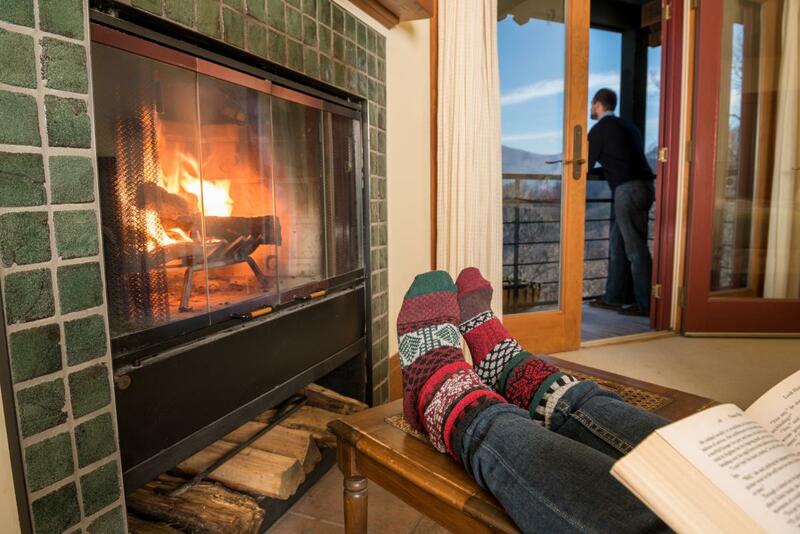 Coziness reaches new heights in Asheville, North Carolina, named one of the U.S.’s coziest cities. And as the cuddly Danish trend of hygge spreads like a soft alpaca blanket, Asheville stays true to its mountain comforts—crackling fireplaces and frosted vistas, toasty mugs of deliciousness and live music that warms the soul. 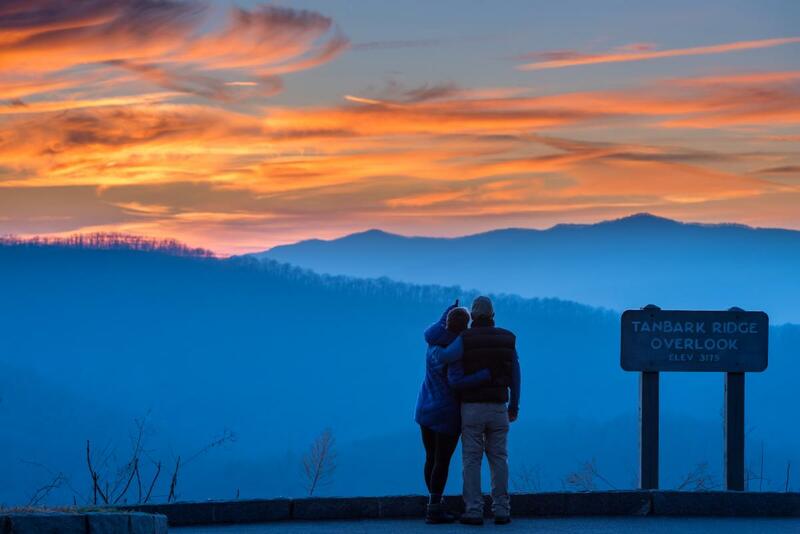 One of SmarterTravel&apos;s top winter destinations for 2019, Asheville heats up this time of year with welcoming spots to relax and stay, a sizzling food scene, and endless views of the surrounding winter wonderland. 1. It only takes a spark. The view from your couch is no match for the mesmerizing allure of a roaring fire and captivating setting. 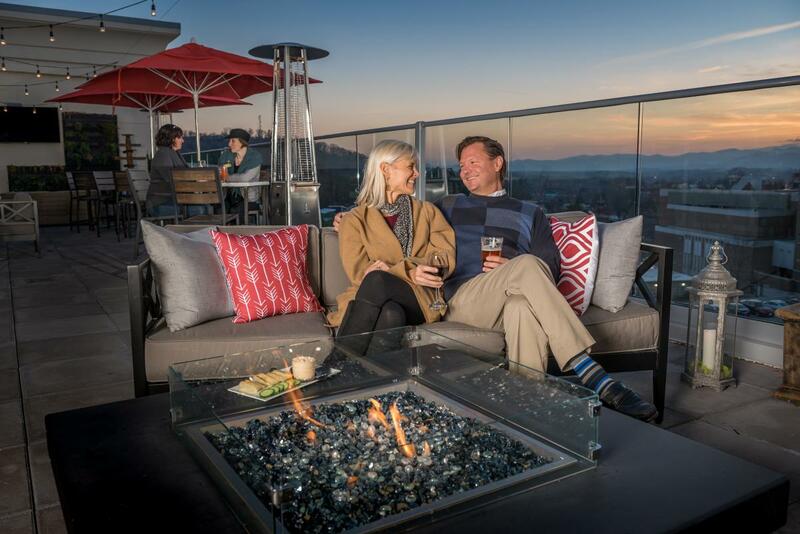 Sit a spell on a rocking chair facing a 36-foot stone fireplace at Asheville’s historic Omni Grove Park Inn, or grab a seat by a fire pit atop one of downtown’s new all-season rooftop bars, where creative cocktails pair perfectly with skyline vistas framed by the Blue Ridge Mountains. 2. Hiking with a (long) view. Forget about the early bird. Here, the winter hiker gets all the glory—and can sleep in luxuriously, too. Even at mid-day, popular trails and summits close to town stay blissfully uncrowded (if not totally deserted). Bare trees and deep blue skies make the landscape pop and the sight lines unspool endlessly. Uphill ascents are sure to warm you up fast—and, if you hit icy temps, you might be rewarded with the unforgettable sight of a frozen waterfall. Explore our five favorite hiking trails for winter. Got a case of the winter blahs? Sometimes the best antidote for cabin fever is tucking into a cozier cabin. 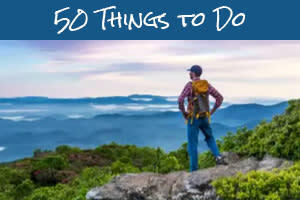 Asheville’s array of mountaintop retreats and inviting B&Bs have perfected the art of getting away from it all. Slip into your private hot tub overlooking the surrounding peaks and valleys, enjoy a candlelit dinner from the intimacy of your own guest room, or cuddle inside a perfectly Instagram-able 1950s camper parked in a secluded valley across from an organic farm. Browse cabin rentals and bed & breakfast inns. 4. Coziness is a state of mind—and body. 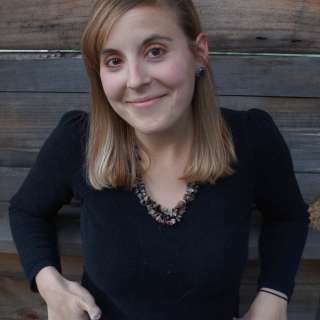 Asheville spa experiences are like a hug for your whole being. Make yourself comfortable on a pile of pillows inside the Asheville Salt Cave illuminated by twinkling lights, dip your toes in a lavender chamomile foot soak floated with dried flower petals at Wake Foot Sanctuary in the Grove Arcade, and go forest bathing—literally—at Shoji Spa’s celebrated Japanese-style cedar sauna and hot tub nestled in the woods just outside Asheville. 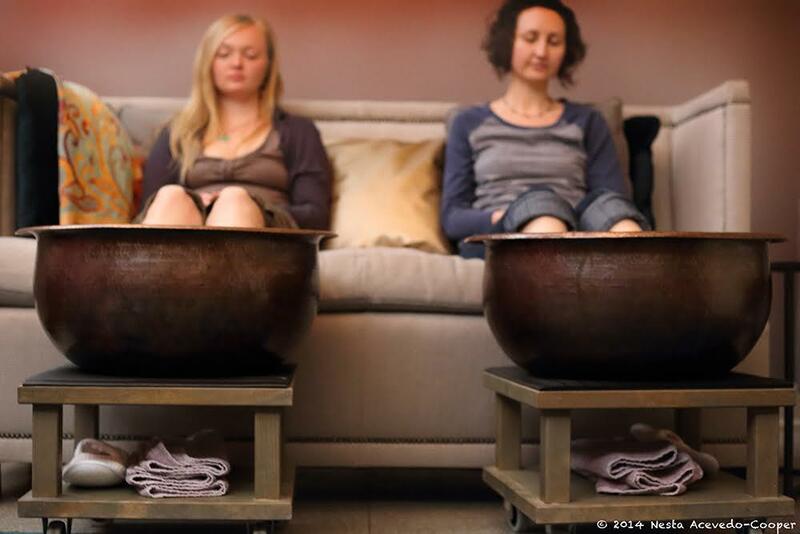 Discover top spa experiences, each with an Asheville twist! Warm up from the inside out with a seasonal sip that quenches your thirst for comfort. Savor a steaming bowl of fine tea seated cross-legged in one of Dobra’s Turkish-style tea rooms; linger over an artfully prepared latte, whether in a downtown hotspot or surrounded by fresh blooms in West Asheville’s Flora boutique; or indulge in a liquid truffle at downtown’s French Broad Chocolate Lounge. Share the wealth and order drinks prepared for a pair, whether you want to channel Casanova with a sweet black tea infusion at Dobra or go big with a classic Manhattan cocktail service for two at Little Jumbo. And check out Asheville&apos;s top coffee shops, from the traditional to the unusual. 6. Get closer to the action. Summer is for outdoor music and theater festivals. 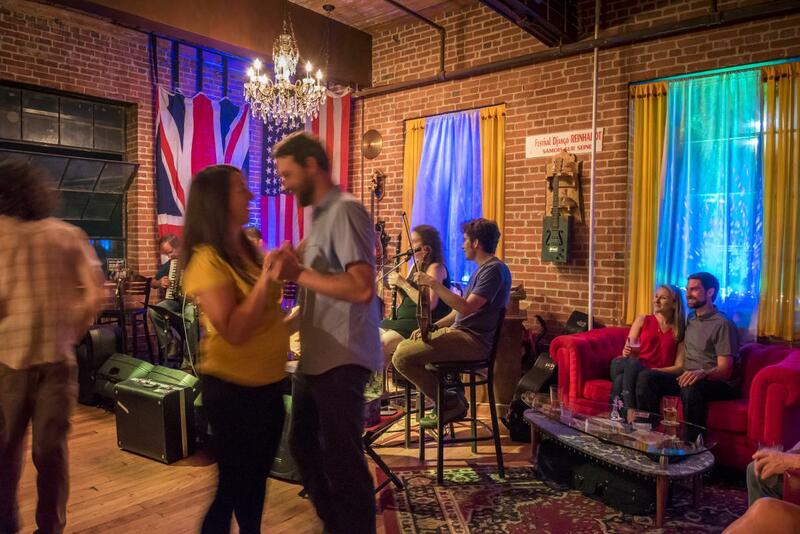 Winter is for intimate performances in the sorts of snug venues that showcase Asheville’s wide-ranging arts scene. Sidle up to your date on a plush couch while enjoying the guitar prowess of a Grammy Award-winner, get fired up watching a thought-provoking drama in a 65-seat black-box theater, connect with a local singer-songwriter in a welcoming listening room with excellent acoustics. Tap your toes to the frenetic fiddling of a nationally renowned bluegrass act, or dance the night away to global grooves. Check out our guide to iconic venues, under-the-radar music hotspots and places eat, drink and dance to your favorite tunes. 7. Food is meant to be shared. With James Beard-nominated chefs turning out small plates worth traveling for, Asheville’s most enticing food spaces beg diners to sit close and order a table full of communal dishes. Romance blossoms here over oysters on the half shell and hush puppies dipped in wild mountain honey, artisanal cheese boards and hibiscus-glazed turnips, and ceviche with papaya and slow-braised short rib nachos. 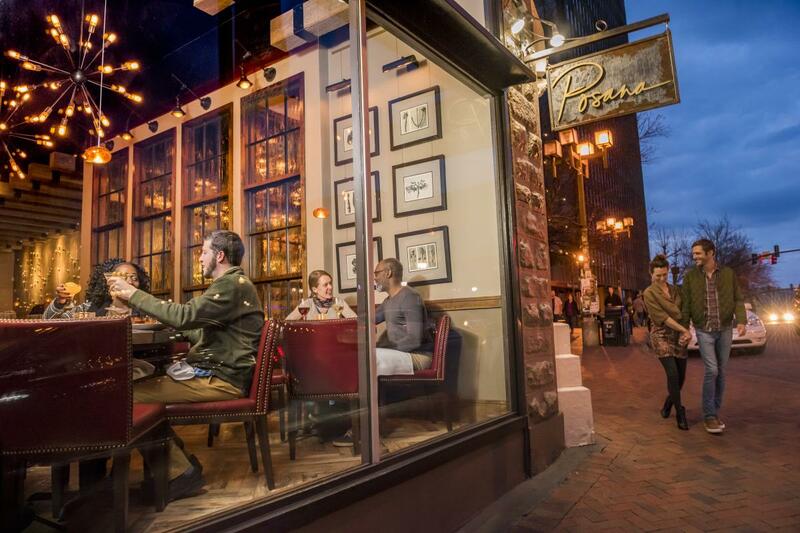 Food & Wine named downtown’s warmly lit Storm Rhum Bar and Bistro the coziest restaurant in North Carolina; order shrimp and grits alongside a rum flight for a Southern experience with an island twist. 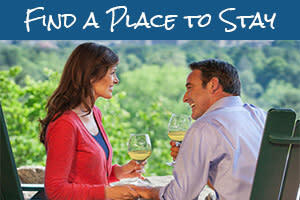 Reserve a table at one of Asheville top 10 most romantic restaurants. No matter what draws you in, take advantage of the year’s best rates with a winter trip. Take a peek at rates and availability here. Top photo by Erin Adams; Spa photo courtesy of Wake Foot Sanctuary; All other photos by Emily Chaplin, C2 Photography.